Morocco on Saturday recalled its Ambassador to The Netherlands after Dutch authorities did not comply with the Kingdom’s request to extradite a notorious drug dealer of Moroccan origin involved in financing and supporting some troublemakers in northern Morocco. “Over the past two days, contacts took place between Moroccan and Dutch authorities at the level of the Heads of Government and the Foreign Ministers with respect to the activities of a notorious trafficker of Moroccan origin settled in the Netherlands,” said the Moroccan Foreign Ministry in a statement. The drug dealer, a former Moroccan MP, identified as Said Chaou, is subject to two international warrants issued by Moroccan courts in 2010 and 2015 for association of criminals and international drug trafficking, the statement said. The Foreign Ministry explained that specific information on the involvement of this dealer in extending financial and logistical support to some parties fueling unrest in Northern Morocco have been provided to the Dutch authorities for several months. The statement underlined that Morocco, which has cooperated constantly and earnestly in the fight against drug trafficking with the European Union and the Netherlands, cannot tolerate that a well-known trafficker be allowed to revive his criminal activities, after the North African Kingdom strived to dry up his resources. Morocco reserves the right to draw all the necessary conclusions and to take the political and diplomatic measures it deems required, the statement said, making it clear to Dutch authorities that it is imperative to take concrete and urgent measures against this dealer and that pending The Hague’s response, the Moroccan ambassador will remain in Morocco. In a reaction to the Moroccan extradition request, the Dutch foreign and justice ministries said in a joint statement “The Netherlands is committed now and in the future to an effective collaboration with Morocco based on international legal frameworks and the protection of the rule of law”. 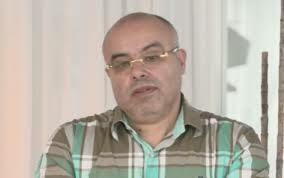 Chaou’s backing to unrest in the Rif region has recently been evidenced in a video he published online, inciting protests. For Moroccan authorities, the dealer is attempting to fuel turmoil in the Rif to resume his lucrative cannabis trafficking activities. Dutch media reported that Chaou was arrested in 2015 in the southern Dutch town of Roosendaal as part of a crackdown on a drug network. Written by: Peter Mulvany on June 26, 2017. Posted by Peter Mulvany on Jun 26 2017. Filed under Headlines, World News. You can follow any responses to this entry through the RSS 2.0. Both comments and pings are currently closed.